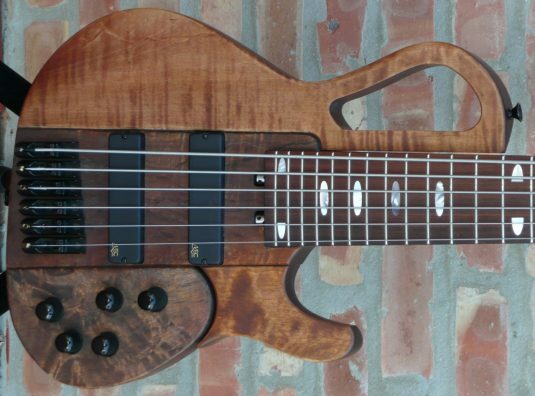 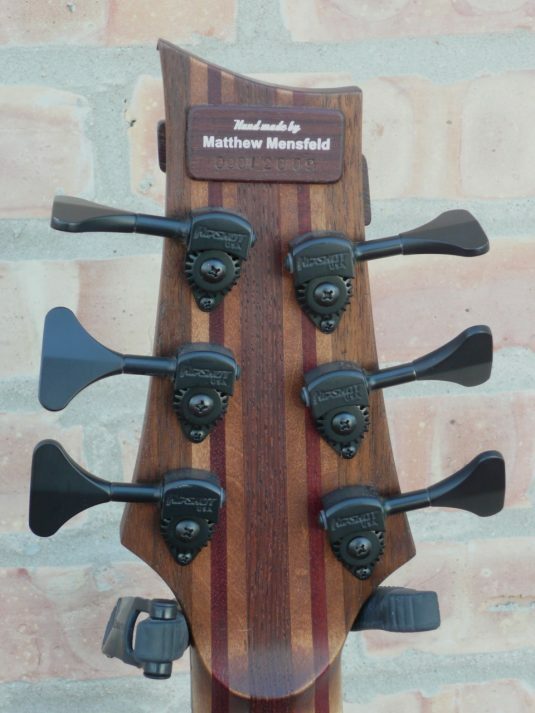 This is our 3rd such bass from Polish builder Maciej (Matthew) Mensfeld, each as impressive as the others. 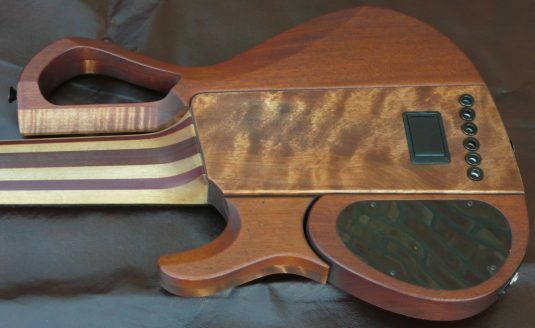 The design is unique, with this example having an antiqued look. 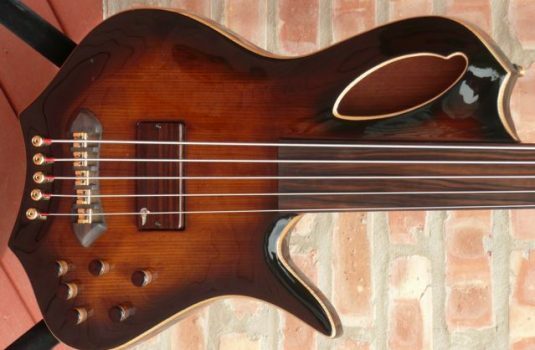 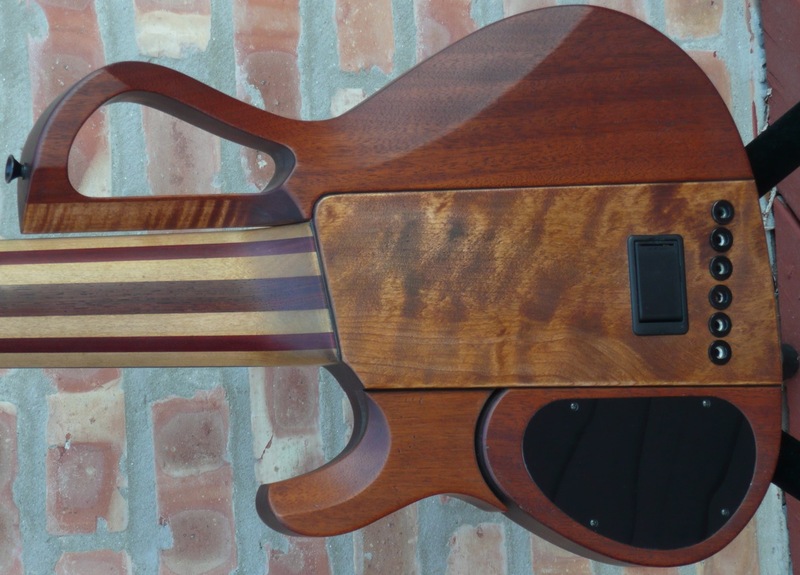 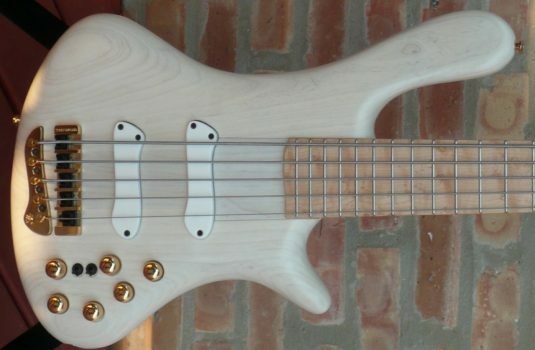 What is truly unique is the fact that a 32″ scale bass can have such a capable and uniform low B string. 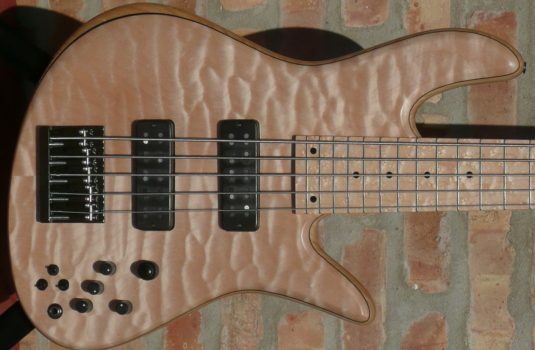 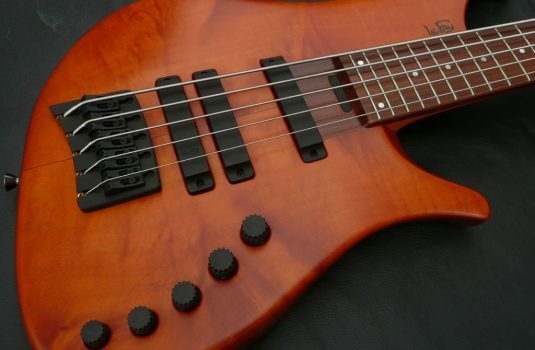 Supreme playability combined with a strong voice make this a bass you should consider.